Age 84, of East Canton, passed away unexpectedly Sunday April 7, 2019. She was a member of Mt. Tabor United Methodist Church and formerly employed by E Z Method Driving School for 25 years. Barbra Ann Vaught was the very heart and essence of her family. She created a nurturing and unique bond with whomever was fortunate enough to be graced with her love. Being not only a mother, but a great-grandmother she was a pillar of strength in her family; becoming the glue that held it together. From Sunday dinner to casual outings she was always the Sun that others gravitated towards. Her charisma and passion for others will live on through the memories her family will share for a lifetime. Barbra is now reunited with the love of her life (Joseph), her baby boy (Tommy), and her partner and crime (Roy); and four brothers. Barbara is survived by five children, Sharon Taylor, Curtis (Debra) Vaught, Jennifer Hilkert, Jill (Tim) Wagner and Jason Vaught; 15 grandchildren and 10 great-grandchildren; one brother, Johnny White. Funeral services will be Thursday April 11, 2019 at 12:00 pm in Mt. Tabor United Methodist Church with Pastor Jon Hutchinson officiating. Burial will be in Forest Hill Cemetery. Friends and family will be received two hours (10-12pm) on Thursday at the church. 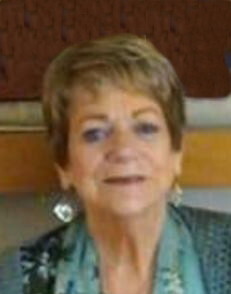 Full obituary may be viewed, and condolences or fond memories may be shared online at www.sandersfuneralhomes.com.